Triads rise by half step as the lower line descends in the same manner for the first phrase. This is answered by a second phrase in like manner beginning on the mediant. Thereafter the melody extends and plays out in diatonic and chromatic colors. 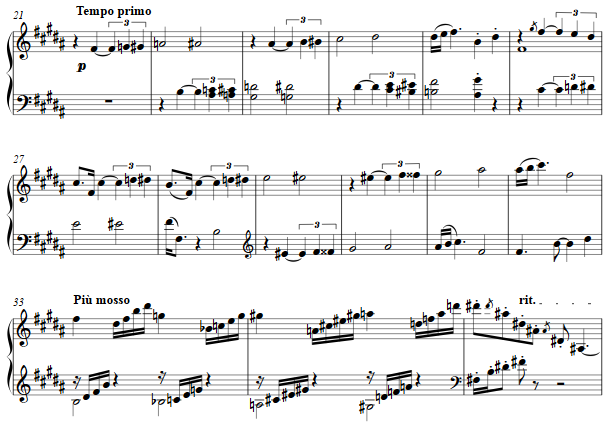 The fugue echoes the prelude's top voice, rising in half steps, as lower voices echo in differing directions. The subject echoes the prelude's opening phrases. Arpeggios beginning at 33 mirror these harmonic progressions.